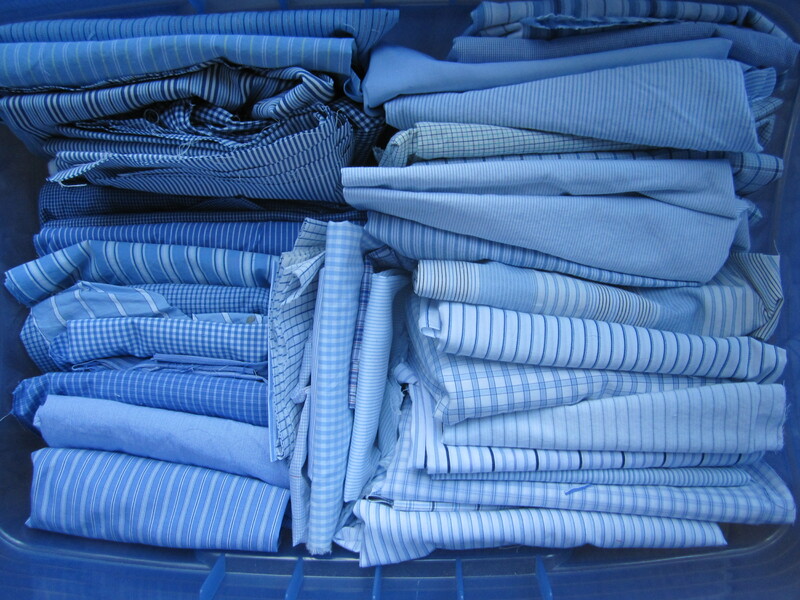 I have been collecting shirts at used clothing stores for a while now. 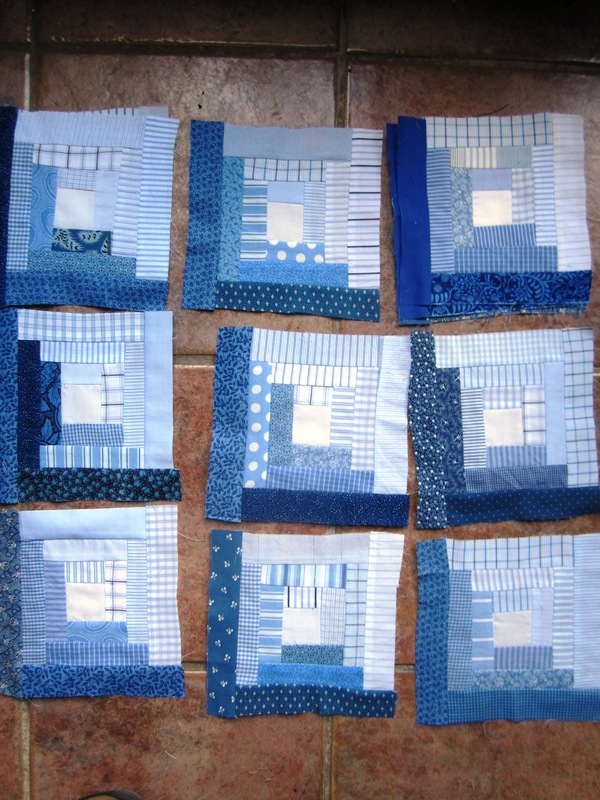 I have always wanted to make a quilt from their fabrics – now I am! The colors are predominantly blue or blue stripes. 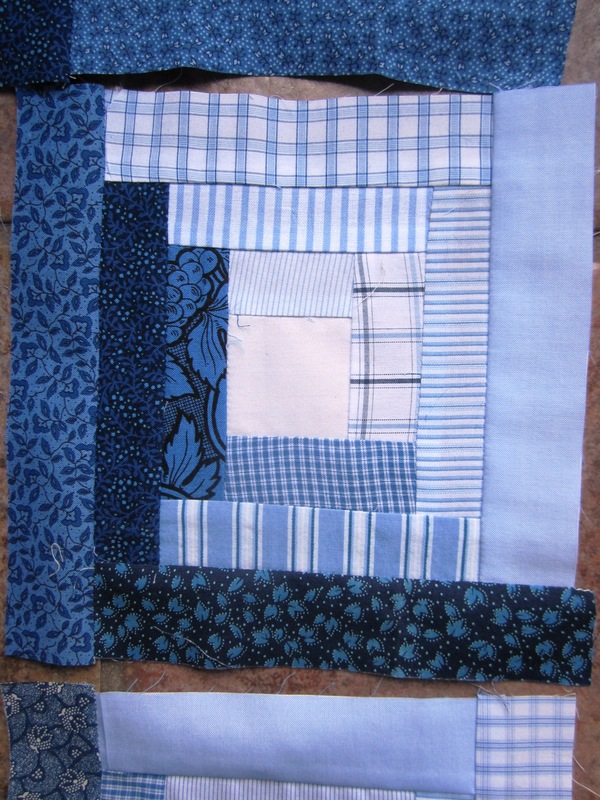 I think this will make an excellent summer quilt.